Our Signature. 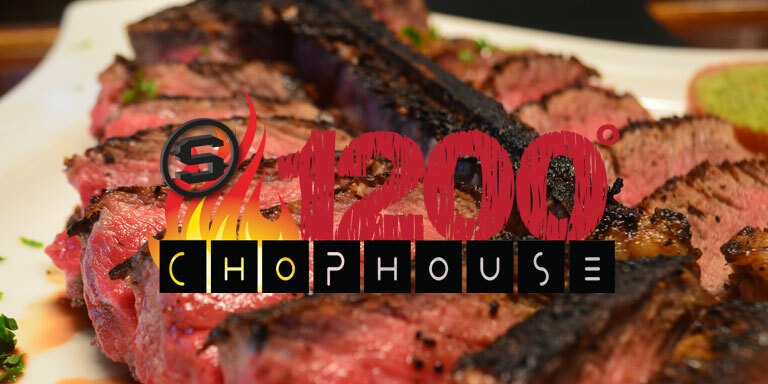 Our beef is prepared your way in our 1200° broiler, seared with in-house aged cuts ranging from Angus to Wagyu. Specialties range from Twin Filet Mignon Oscar to New York Strip to our Bone-In “Tomahawk” Ribeye (2.5 lbs) and our Porterhouse. Our Pan Seared Seabass will melt in your mouth. Our offerings are Fresh, Sustainable include Bay Scallops, Gulf Shrimp and succulent Mussels. Wide variety include succulent Berkshire Pork Chops, Applewood Smoked Bacon and Chorizo. All produce and fruits are farm fresh, sourced locally and made to order. All entrees include our house salad with our signature homemade balsamic vinaigrette. Creole bbq butter, baked bread for dipping. See server for tonight's preparation. Tomato, basil, red onion, balsamic drizzle. Iceberg, romaine, field greens, bacon, tomatoes, egg, craisins, blue cheese, balsamic vinaigrette. 7 oz. - 10 oz.